BARK! BARK! BARK! 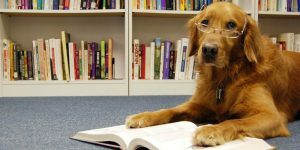 Children can cuddle up and read with a dog buddy courtesy of SC Dogs Therapy, Inc.
For ages 6-12 only. Registration is required. Registration begins June 1 – Call 864-260-4500 x158.